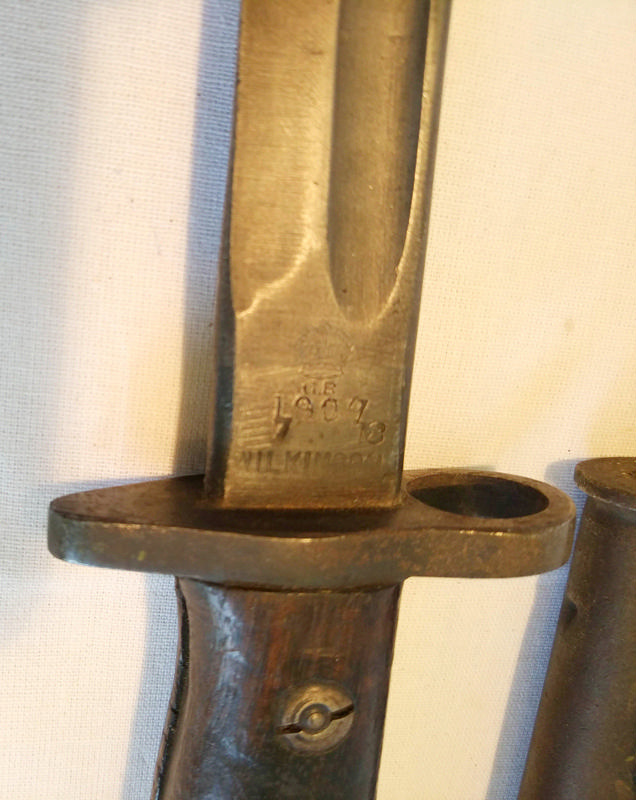 One of two sword bayonets that belonged to the Messenger family. 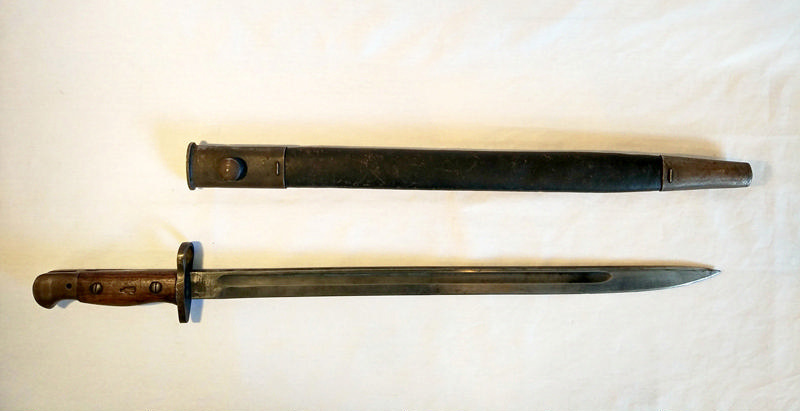 Both of these sword bayonets are for Short Magazine Lee Enfield (SMLE) rifles. There is a clearance hole drilled through the pommel, wooden grips are attached either side of the steel tang. The scabbard is made of black leather with raised stitching down the spine and steel locket and chape. 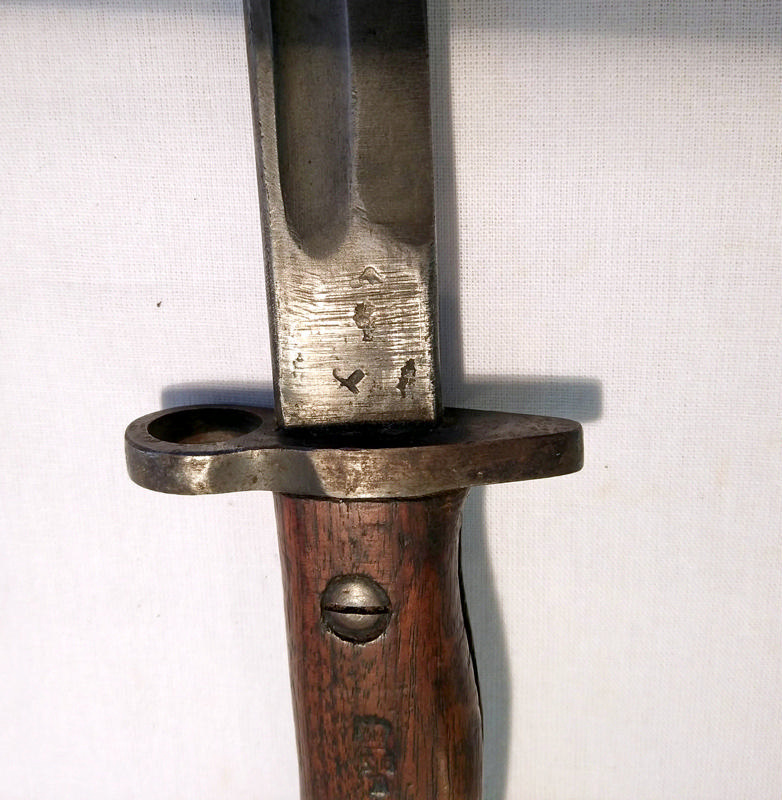 It appears to have been made or refurbished in 1943 and so may not be the original scabbard. Along stitch line: ? (CLIFF)WALSALL 1943 followed by a broad arrow.